Provided photo A local choir entertains visitors to the annual Christmas in the Village event in Tipp City. TIPP CITY — Next Saturday, eight Tipp City homes will open their doors to visitors for the annual Tippecanoe Christmas in the Village home tour. According to Catresa Bourelle, one of the event organizers, the Tipp City tradition draws more than a thousand visitors every year. The event begins at noon and ends at 5 p.m.
Bourelle said the tour is a little different this year, in that the featured neighborhood is a little further away from the historic downtown than in previous years. This year’s featured homes are on South Hyatt and Horton Streets. The houses vary in age from the 1860s to the 1990s and each is professionally decorated for the holidays by an area designer. “After we’ve had homes on the tour four times, we figure it’s time to step back just a little bit. So we’re stepping out into newer homes,” she said. 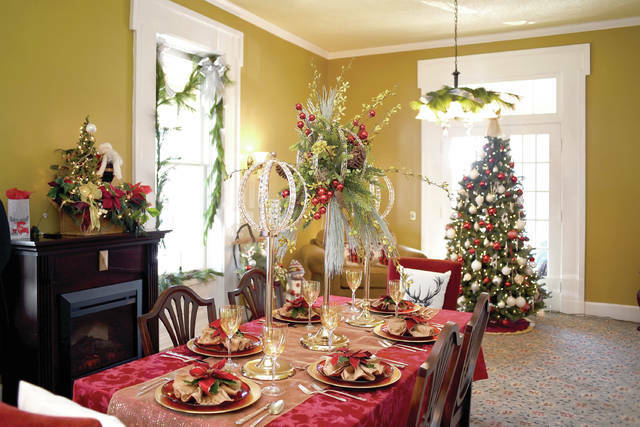 The Christmas in the Village home tour has been a Tipp City tradition since 1976. Bourelle noted that the event is not only festive, but it also helps to support local non-profits, including the Boy Scouts, Master Gardeners of Miami County, the Tipp City Public Library, the Tippecanoe Historical Society and others. “Out purpose is to not only celebrate our neighborhoods and to bring people to our downtown that we’re very proud of, but it’s also to support some of our nonprofits for the upcoming year,” Bourelle said. In addition to the homes on the tour, visitors may also enjoy performances from local high school choirs and bands, a calliope on wheels, the Gotham Brass Quintet and the Tipp City Community Band. There will also be a visit from Santa Claus. Tour hours are from noon to 5 p.m. Tour day tickets are $20 in advance, $25 the day of and are currently available for sale online at www.tippchristmas.com. Tickets are also available for purchase at the following local businesses: Bodega Wine & Specialty Foods Market, Greenfire Bistro, Harrison’s Restaurant, Hock’s Pharmacy (Tipp City and Vandalia), Home Comfort Gallery (Troy), The Hotel Gallery, Sugden Furniture, and Tipp Monroe Community Services. 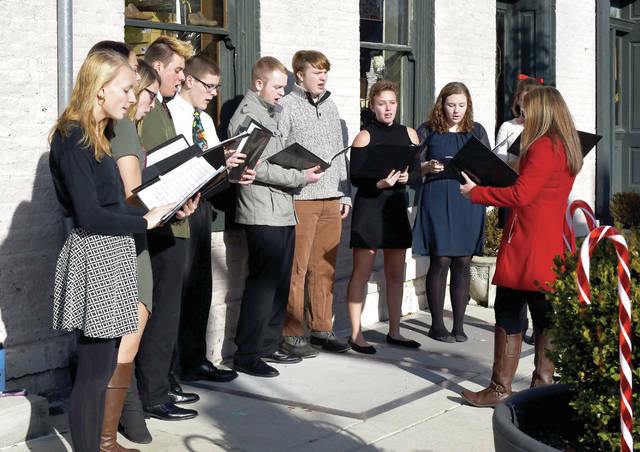 https://www.weeklyrecordherald.com/wp-content/uploads/sites/51/2018/11/web1_DSC_0659.jpgProvided photo A local choir entertains visitors to the annual Christmas in the Village event in Tipp City.